All contents, articles, pictures belong to the webmaster. All rights reserved. Copyright. 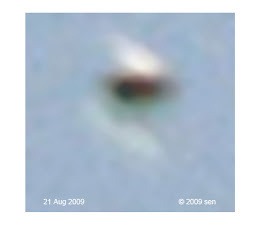 Releasing any Alien photos would cause a huge impact on our society. Only ordinary UFO’s photos posted on this blog. 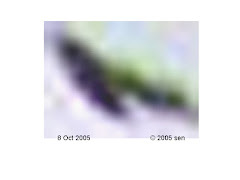 This is the serious claim: My alien picturessighting report to MUFON Ask Dr Bruce Maccabee about UFO phenomenon they can not produce a story on this. 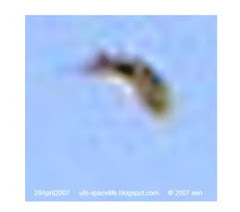 Sphere UFOs are one of the basic, common types of UFO that are seen by many people. 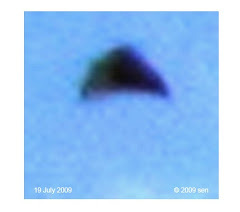 Studying this subject lets us more easily understand all the different shapes of UFO and to understand UFOlogy. 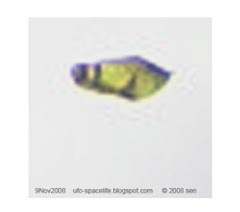 Sphere UFOs in the sky could be the natural life forms of the many non earth physical species( energy being?) who are living in the sky. It hides inside the "ball shaped energy field". Most of them are “simple forms” of alien life. 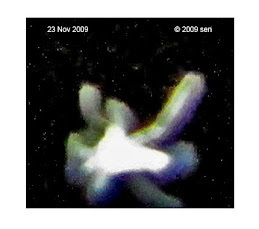 they are living on top of our atmosphere and are not from the multi –dimension. inside the sphere, there may be just one critter; some sphere could be form by numerous critters. “simple form life” have a population of hundreds of billions in our space. They are also like other space life as they have their body energy, rapid movement, and a grouping habit. So when huge numbers of these little ones gather together, their body energy will produce an incredible magnetic or static electric effect. 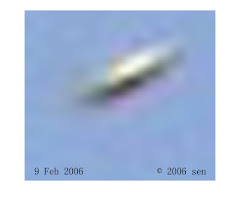 Sphere UFOs are hovering in the sky all the time. sometimes they fly low out of curiosity. 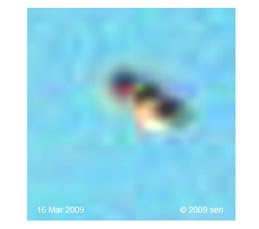 Very tiny numbers of them may be alien mechanic crafts ; also I believe some are made by “advanced intelligent created living technology”. Only when you got a very clear evidence then you can identified them. 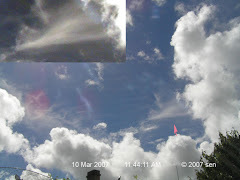 Sphere UFOs have many abilities, they can release orbs(Spheres), haze( trail), chemtrails, interaction, energy , or even shoot out light beams or lightning. 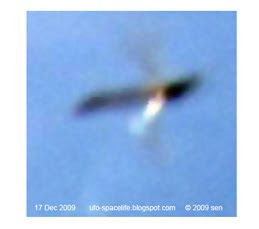 This is their natural ability, except those that are the advanced and intelligent alien’s products. Spheres like to act single or group. The group of spheres could appear in any numbers. 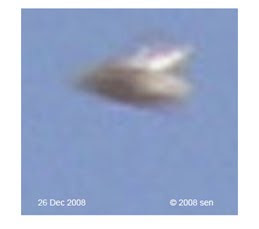 For example: phoenix lights. Some of my sphere ufo pictures which form by more than 100 spheres. 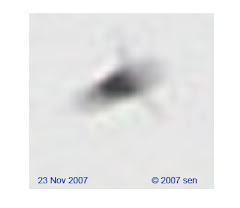 Some triangle, boomerang, Dome or tube shape UFO actually form by group of spheres. Many kind of energy life whom live on our planet were here much earlier than the physical life and they still live in our space. So space’s environment is part of the result of their participation. Without them, the earth’s atmosphere could be completely different. And the earth would be just like mercury - only with rocks. To learn about our earth’s natural phenomenon: Such as the causes of hurricanes, rain , lightning etc. we should study the behavior and character of those energy life in our sky; the same as we study the earth’s environment then we must study the effect from human’s activity. 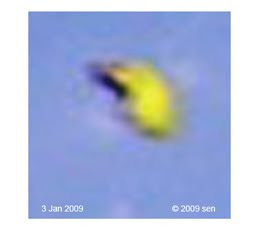 Many scientist study Sphere UFOs for years, I hope they can get more than endless numbers of data, records and analysis. All pictures in the blog captured by myself from my backyard. This site is not fiction, legend or history of another person. 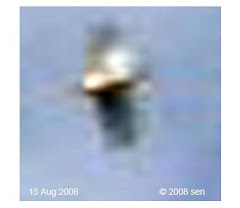 This is my real encounter starting from 2005. 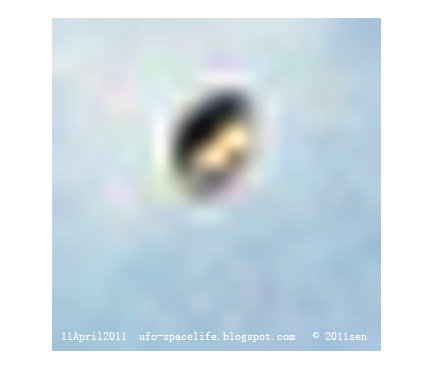 Encouraged by my friend, a UFO researcher and scientist, I started this blog. If I am not telling the true, I don’t know when another person will meet such a large scale contact again. 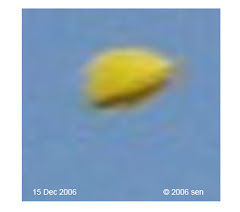 This is a website of a genuine UFO study, all various shapes of UFOs that are bright or dim in our sky. It’s superstitious to think that we are alone in the universe. If we ( all physical life) can be born in this environment, then why can’t another type of life be form in different circumstances? If there are some high intelligence alien species, then some must be ordinary, primitive or even weird. 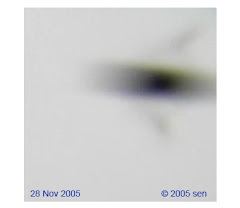 Why most UFO photos are blurry? "is there intelligent life on earth?". they can not produce a story on this. Alien don't like to be expose too much? All light beams are from craft? phoenix lights our wonderful planet ? Moth man or alien bat? 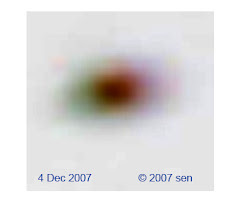 The date shown in the photos is the date they were taken. 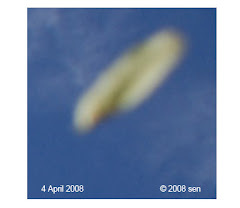 All photos posted on this blog are just ordinary UFO pictures. 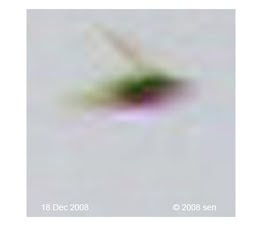 I only captured alien's photos, I have never seen aliens with my naked eye. Except I saw their mist on the 17 Oct 2005. Some images may be seen from the view finder when taking photos. 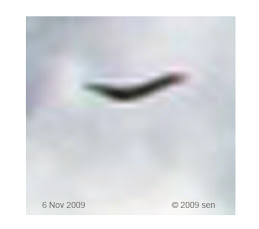 In these past two years there were no messengers from the Aliens. I do try to talk to the alien's little pets, only once I get response. Most of the time, I don't know. 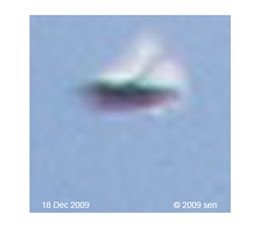 12 January 2005 , big fly saucer showed in my video. 30 July 2005, started taking daytime pictures. 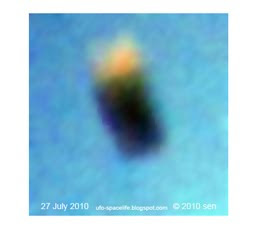 11 August 2005 day, a clear object dived down vertically which has an abnormal body look. 20 August 2005 night, captured 8 pictures about a team of Martian. 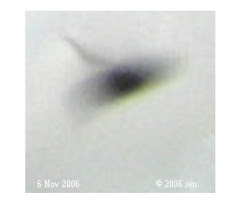 17 October 2005 night a UFO with big light beam boarding a team of little pets. Here's what I wanted to post. If you feel it's worth the time, maybe you'd post it for me. they tricksters or are they trying to communicate? 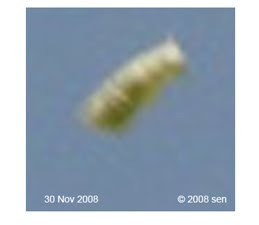 There have been claims of sky fish even someitmes caught by people in Asia. Then, of course, there are the ever enigmatic rods seen by many people. Did people of other times know of these and just accept them as a normal part of life? 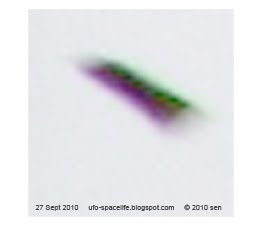 I've thought for years now that much of what is seen in the skies by people are of "species" we do not yet know exist but are beginning to learn about.